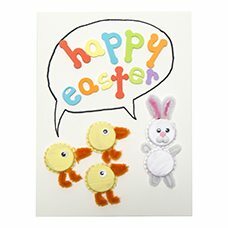 Create an adorable Easter card with foam stickers and bottle caps! 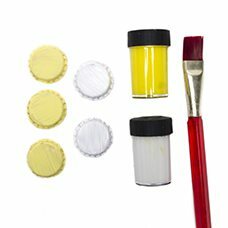 Paint the bottle caps and turn them into baby chicks and a bunny! 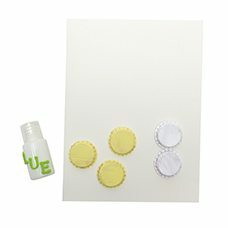 Paint 2 bottle caps white and 3 bottle caps yellow. 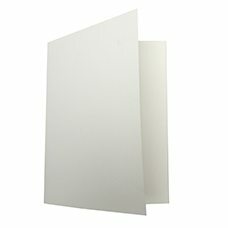 Fold a piece of card stock in half. 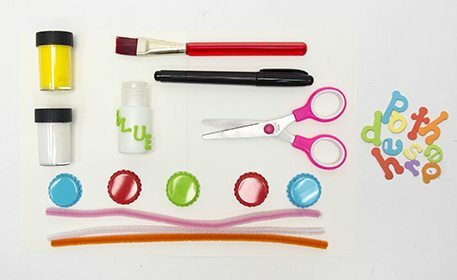 Glue the painted bottle caps onto the front of the card stock, as shown. 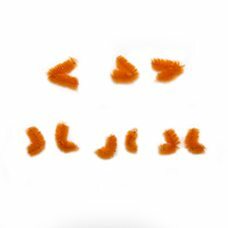 Cut (9) 1" pieces from an orange fuzzy stick. Fold 3 into beaks for the chicks and the remaining 6 into the chicks legs. Glue the legs and the beaks to the yellow bottle caps. 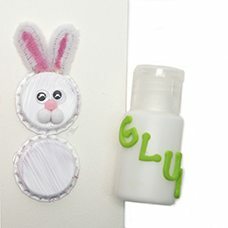 Glue 1 small wiggly eye onto each chick and 2 small wiggly eyes onto the top white bottle cap, that rabbit’s head. 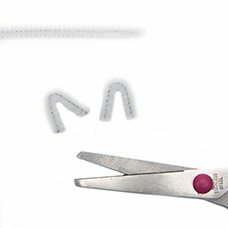 Cut 2 pieces from a white fuzzy stick and fold them, as shown. 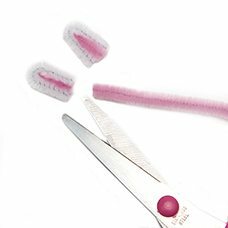 Cut 2 pieces from a pink fuzzy stick and insert them inside the white folder fuzzy sticks. Glue the ears to the top of the rabbit’s head. 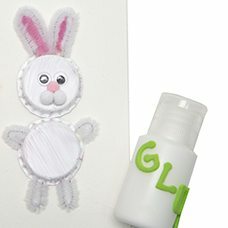 Add a mini pink pom and 2 mini white poms to create the nose and mouth of the rabbit. 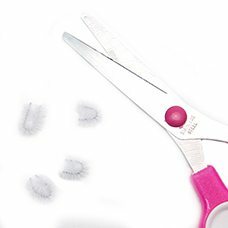 Cut 4 small pieces of white fuzzy stick and fold them, as shown. Glue them to the body of the rabbit. 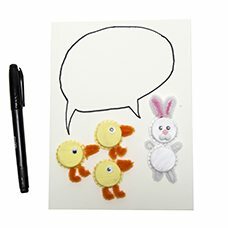 Draw a speech bubble coming from the chicks and the rabbit. 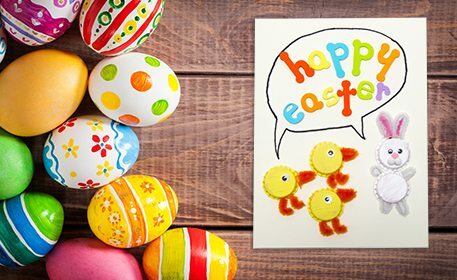 Spell out “Happy Easter” with dotty letter stickers.